Well isn't it Ironica? Don’t you think? Our Ironica beechwood chairs, pictured here in black, come from TON CZ, a fine, European furniture maker. 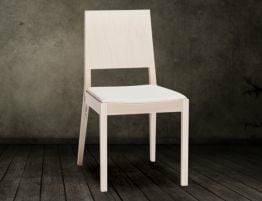 If you are tired of cheap, wobbly wooden chairs, you should invest in well-built dining chairs that you will enjoy for life. Our Ironica timber dining chair offers a look that is equal parts antique, rustic and modern. Our timber kitchen chairs recall the look of early American spindle dining chairs or even mid century Modern Danish Spindle Chairs in a Paul McCobb Style that have been modernized by the angled geometric form of our seats backrest. Our country spindle back dining chairs offer the refined handcrafted look that makes them so unique. This dining chairs geometric brings the design up to date with the slender spindle back, angle lithe legs and a understated saddle seat. You can mix colors in this ever popular spindle back chair for fresh take on dining table seating. Likewise, our Ironica timber chair would make a great desk chair or vanity chair. TON CZ offers you their updated version of the classic American Windsor chair. 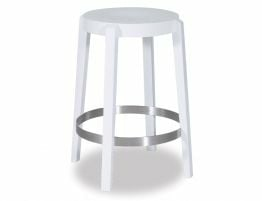 TON CZ took some elements of this piece of Americana and contributed their own special furniture expertise toward making this chair a bit more modern, on trend and a fresh addition to your kitchen or dining room. Turning the slender spindles carving the molded saddle seat and steam bending its gently curved back using technics that have defined the fine wood furniture of TON CZ for so very many years. Our durable, elegant, lightweight chair is finished in a black lacquer. Put these black wooden chairs around your dining table or mix and match the available colours for a fun and modern twist. 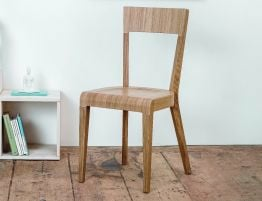 The seat of our Ironica wooden dining chair has been carved into a subtle saddle shaped for comfort. 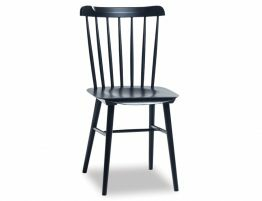 It is believed that the classic form of the original Windsor chairs was made when wheel makers began making spindles for chairs very much the way they made wheel spokes. It is highly likely that the design was part of the development of Welsh and Irish stick back chairs but the look of this early chair has had many permutations over time.